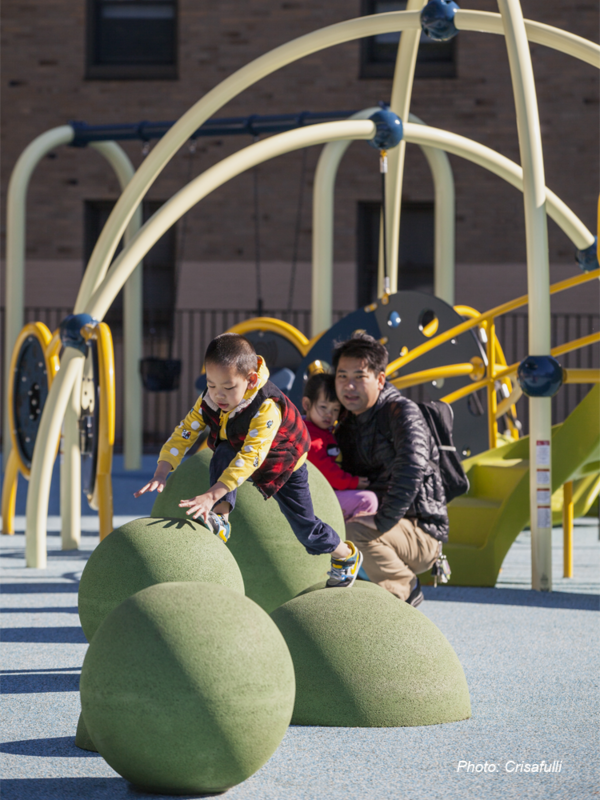 The renovation of this small playground within Boston’s South End features a net climber, balancing spheres, dish swings, and an arch based play structure for preschoolers, all of which enable cooperative play. Three sculptural berms dotted with pebble shaped benches were set under mature linden trees to add play value, seating, and topographical interest to an otherwise very flat park. A decorative entrance arch gives a strong street presence to the park, while added seating creates spaces for park users to pause and experience their surroundings.